Excerpt: "...What is history? Any thoughts, Webster? 'History is the lies of the victors' I replied a little too quickly. We laughed far more than was required, with an end-of-term hysteria.
' History is that certainty produced at the point where the imperfections of memory meet the inadequacies of documentation.'" Like most Indian readers without a strong background in literature, I usually get intimidated a language which is still threateningly foreign to me, even when I write and work in it. Most English writing of our times I read, is cliched and if I may say propaganda-driven. Before you pick a book, you know what you will encounter. Do not get me wrong. I like to read a good story. I like two things in a story- One, it should not intimidate me needlessly, hound me for lack of education; Two, it should tell me something beyond the story- an angle cleverly hidden behind the story- something subtle and sublime. Then, it is about the way a story is told, I love a story which is told with affection, care and passion. I like the style of story-telling which is unhurried and non-mercenary in approach. Readers in today's world are much in rush, inundated with data deluge. Writer's rush should not compound reader's rush. A good writer should manage to slow down the reader, hold his hand and make him sit next like a long-lost friend meeting after a very long time. And I do hate the story written as a formula, with a given number of affairs, heartaches, break-ups, social causes and few sexual interludes. Flaubert's Parrot (Read Review Here) was the first novel of Julian Barne I had ever read. What a magnificent piece of writing it was!! It met all the criteria I have for liking a book- glorious prose, engaging story, unhurried and unconventional. That book gave me the courage of picking The Sense of An Ending. Barnes doesn't disappoint. The story is different from the run-of-the-mills affair. There is no love story, no immigrant, no LGBT or feminist angle- in short, there is no cause holding the story at ransom. It is a plain and charming story well-told, and profound. The beauty of the story is the philosophy it contains. 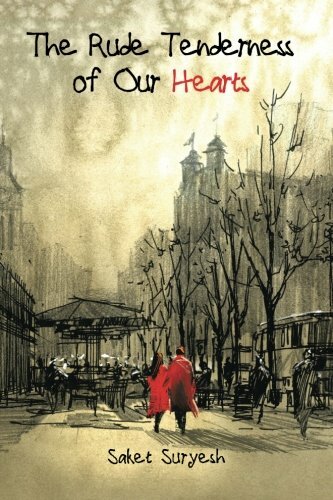 This touch of philosophy to an ordinary story of ordinary people, told extraordinarily well, is what makes the book stand out. Collapsing moral structures in modern lives bring a sense of ambivalence, a floating arbitrariness to life, a sense of lack of conclusion. Any philosophical sense of worthiness associated with life, is slowly chipping away as life becomes a chain of foolish festivity of frustrating futility. There is nothing of value to fight for, to protect, to defend, to nurture, it seems. Is life nothing but a chase towards death? Where are we going? Is death a destination or is life merely an avoidance of death? Are we running on a treadmill going nowhere, getting nowhere? This is by no means a bleak novel, like say, a Dostoevsky. It is light, witty but no, it does not invite you to laugh at a fat man falling off the banana peal. This is the story of Anthony Webster and three of his public school pals. All four a bright students, intellectually aware. One friend of theirs, Adrian Finn, the one who defined History in above excerpt, is exceptionally talented and fatalistically aware. The story has moments of philosophical dance in between, but it never loses the pace. 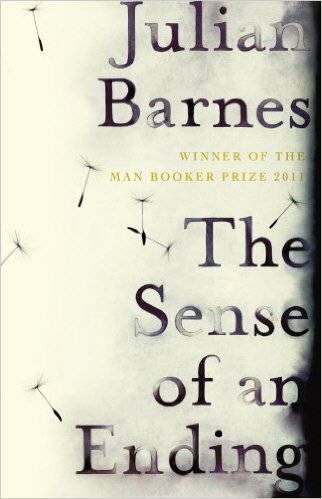 The balance between interest and intellect is carefully and delicately managed by Mr. Barnes. The whole story builds on this inherent ambivalence of Anthony. Adrian commits suicide. The boys, fanboys of intellectual excellence of their friend, are stupefied and in a way, feel short-changed. They are not troubled with suicide per-se. They are confounded with the lack of evident logic behind it. Here is what Tony thinks. "It had seemed to us philosophically self-evident that suicide was every free person's right: a logical act when faced with terminal illness or senility; a heroic one when faced with torture or the avoidable deaths of others; a glamorous one in the fury of disappointed love. None of this applied in case of Robson's squalidly mediocre action. Nor did it apply to Adrian." What stands in contrast is that while these intelligent minds deliberated on the meaninglessness of their friend's self-inflicted death, they are totally oblivious to the meaninglessness of their own lives. Tony is almost resigned to his ordinariness, almost proud of it. He floats and exists, sustaining his rather meaningless life in contrast to an equally meaningless death of Finn. As a sixty year old man, retired and divorced, he looks back at life; it gives a vantage point to us- a benefit of hindsight, if we may call it so. This is a story which makes us pause and ponder. The story does it without overwhelming us with philosophy. The wit of the writer is extraordinary, primarily because it is so honest. No wonder, this book was awarded Man Booker of the Year in 2011. Do reach out to read if life is bothering you with questions which seems to be floating in the air, like arrows looking for you. This book may not give you answers, but it will certainly prompt you to find your own answers. No other answers carry any value, anyways. This is a short book, but as Liesl Schillinger mentions in her New York Times review, it is not a slight book. Underlying philosophical journey in the story renders it the timelessness of a classic- a classic written in our times. It will stay on your conscience for many a nights, and if one is lucky, one of those nights will have a full moon.